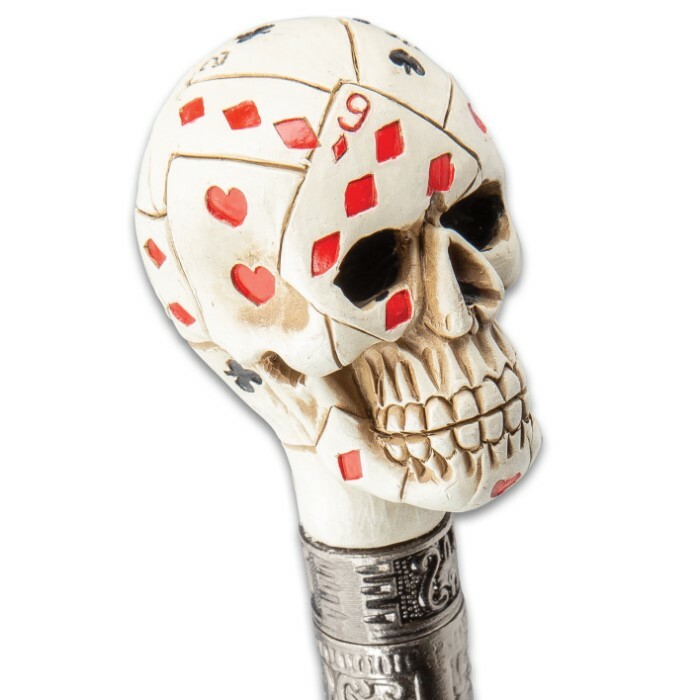 Walk into the casino like a high-roller with our High Stakes Skull Head Sword Cane and if things get a little out of control during the poker game, your bets are covered! Tucked away inside the sleek black walking cane is a menacing 15 1/2" double-false-edged sword blade, forged from resilient stainless steel with a brushed finish. Just twist the shaft at the ornately decorated metal alloy collar and pull to reveal the hidden blade! 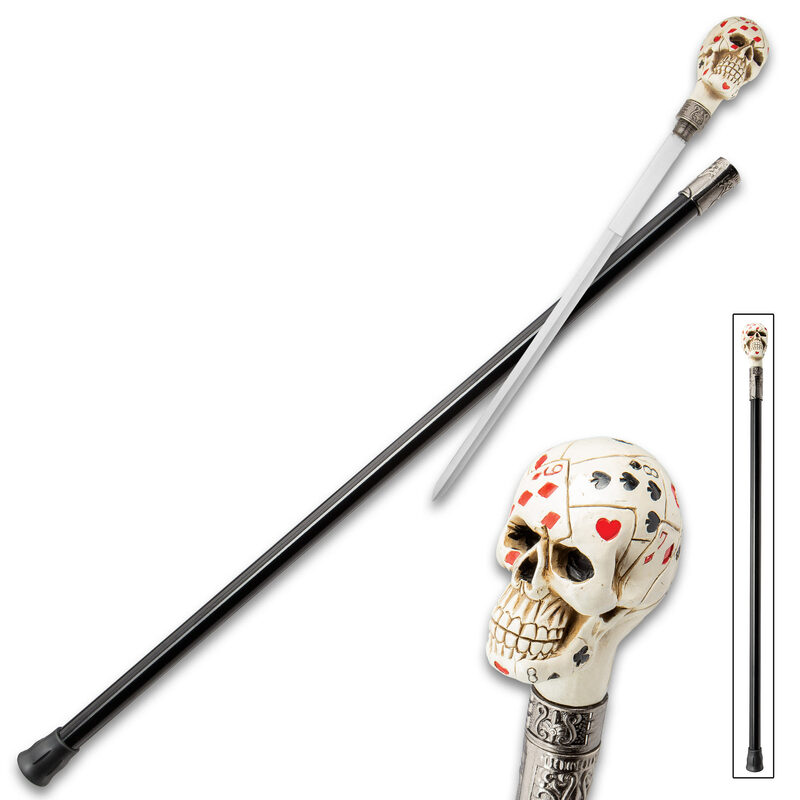 Even if you never brandish the sword lurking inside, this cane is wicked stylish all on its own, thanks to the playing cards themed adorned skull that crowns the cane shaft, serving as a unique handle. 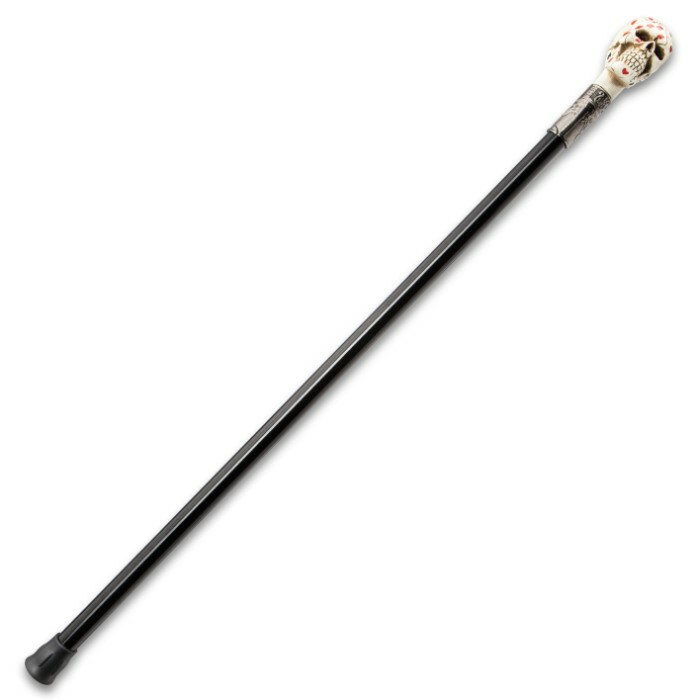 Built to last, the skull handle is cast from a tough advanced resin, and the cane shaft is heavy-duty aluminum. 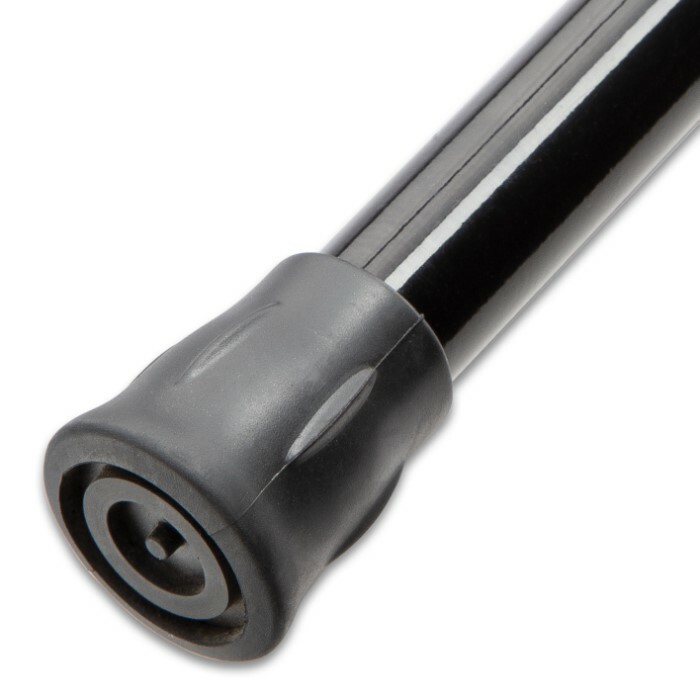 A rubber toe at the base of the cane provides a skid-free, no-slip footing. The High Stakes Skull Sword Cane looks great on display, and it also makes a distinctive fashion statement when paired with your best poker-playing duds. Whether you use it to steady your gait or simply show it off, you can rest assured that no one will ever have a walking cane cooler than this!